The existence of cavitation in soft matter introduces challenging problems as it exhibits unique deformation and failure mechanisms. 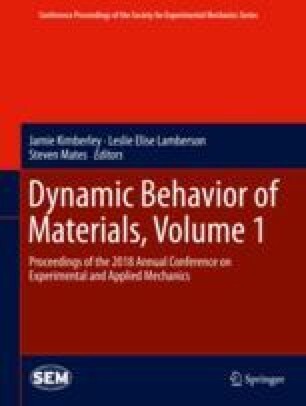 The motivation of our study was to develop an understanding of cavitation and resulting bubble dynamics in and near soft materials, with applications in the study of biological tissues, polymeric coatings, biofouling, composites and other synthetic materials. In this work, we describe a new experimental technique to measure the internal pressure of quasi-statically induced bubbles within compressible time-dependent hydrogels. A Michelson interferometric technique and background-oriented schlieren (BOS) were paired with digital image correlation (DIC) to resolve spatiotemporal pressure fields during cavitation in the bubble and surrounding material. These measurements are meant to inform existing cavitation models and gain new insight into the highly localized deformation mechanism of cavitating bubbles.